Shipping at buyers expense; no rush shipping available. 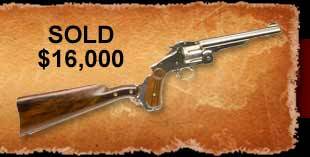 By bidding in a Kull's Old Town Station Gun auction, you agree to these terms: All sales made only in accordance with these terms. Please read them carefully. By registering to bid, or placing a bid, you accept and agree to abide by these terms. BUYERS PREMIUM & SALES TAX - a twelve percent (12%) buyer’s premium, or ten percent (10%) buyer's preminum for cash or approved check, or fifteen percent (15%) buyer's premium for online sales will be added to each successful bid. SALES TAX - Kansas sales tax will be collected on items sold to live bidders or shipped to Kansas. There is no sales tax on absentee bid purchases shipped out of state. Absentee buyers are responsible for complying with their home state tax requirements. PAYMENT - Live bidders must pay before leaving the auction; absentee bidders must pay promptly upon notice of successful bid(s). Payment may be by Visa, Mastercard, AmEx, Discover, cash, cashiers check, or certified funds. Live bidders may pay by check if pre-approved by obtaining a Bank letter of guarantee. If not pre-approved, pick-up of items may be delayed until check clears. Absentee bidders paying by check may have purchases held until check clears. AS IS / WHERE IS - Generally, items in this auction are sold as is, where is, with no guarantee whatsoever, subject to the minor exceptions for absentee bidders listed in #5 below. Guns and ammunition are specifically NOT warranted for shooting. Any used firearm should be inspected by a competent gunsmith for safety, function, and proper ammunition type before attempting to fire. Any description of mechanical function or condition does NOT mean the gun has been inspected or Okayed for shooting. 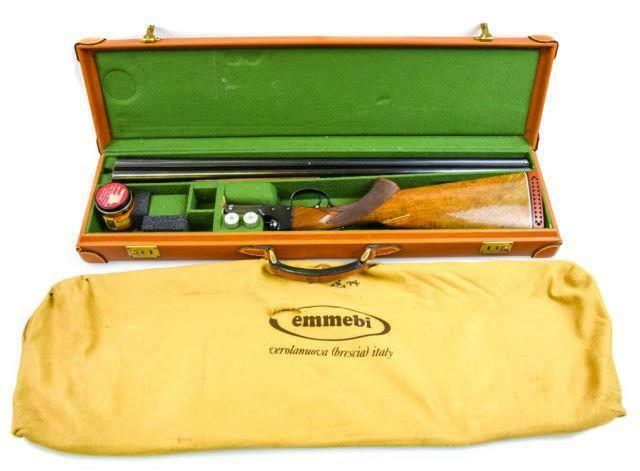 Ammunition of unknown origin should not be fired, and the ammunition in this auction is sold for salvage of components or as collectibles only. Accuracy of catalog & other descriptions is not guaranteed. Although we do our best to provide good descriptions, and enjoy a good reputation in this regard, no portion of any description is guaranteed. Such qualities as condition, age, origin, historical attribution, quality, originality, measurement, significance, percentage of finish, alteration, restoration, and estimated value are opinion only, and are not guaranteed. You are strongly urged to inspect each item on which you bid, and to base your bids on your own opinions and observations. Estimates are our guesses as to what the lot might sell for. A lot may sell lower or higher than the estimate. Limited right to contest sale for absentee bidders in case of mis-identification of item. If an absentee bidder believes that an item purchased has not been correctly identified in the boldface type portion of the description, he may notify the auctioneer in writing stating his objections, and return the item for review by the auctioneer as to the accuracy of the identification. Such notice must be received by the auctioneer no later than 21 days after sale date. If the auctioneer, in his sole judgment, agrees that the boldface portion of the description mid-identified the item, he will refund the purchase price, including buyer's premium, but not the shipping. All shipping costs born by buyer. International Shipping: All International Shipments of firearms or related material must be arranged through YOUR exporter by your arrangement & at your risk & expense. No exceptions! SALE OF FIREARMS - All sales of firearms will be in strict compliance with all firearms laws & regulations. See details at bottom of this page. ABSENTEE BIDS - If you can't attend the auction, you can place an absentee bid by mail or fax, or may bid live on the phone. Successful absentee bidders should receive their invoices within ten days of the sale, and must pay promptly. Download the Absentee Bid Form. You may also place absentee bids on line through this website, or bid live online during the auction through Proxibid.com. Successful absentee bidders should receive their invoices from Kull's Old Town Station within about 10 days of the sale, and must pay promptly. Absentee bidders who provide email addresses will be notified more quickly. * Credit card information must accompany your bid, even if you do not plan to charge your purchase. * We cannot place illegible bids. The bidder is responsible for his errors in lot number, bid amount, or duplicate bids. * Successful bidders will be notified within about 10 days of the auction. 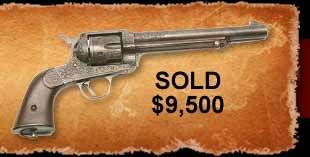 Preliminary prices realized are posted on ArmsBid.com within a week of the auction. Office will be closed for several days after the auction for bookkeeping & bidder notification. 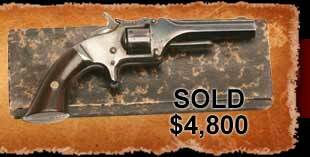 * We accept online absentee bids beginning about three weeks before the auction date. PLEASE DO NOT CALL THE WEEK IMMEDIATELY FOLLOWING THE AUCTION. Office will be closed for bookkeeping & to notify successful absentee bidders.